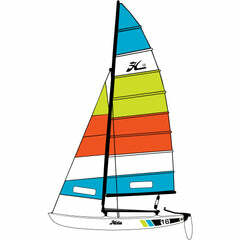 Does The Hobie Mirage Drive Work Well In Shallow Water? 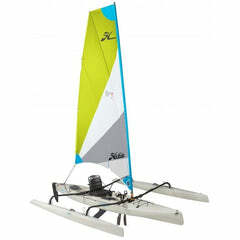 Home » Hobie Mirage Drive » Does The Hobie Mirage Drive Work Well In Shallow Water? 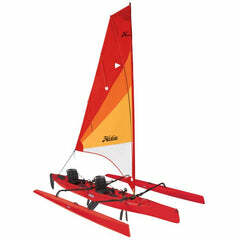 How does the Hobie Mirage Drive work and does it work well in shallow water? Most major kayak manufacturers offer pedal drives these days. 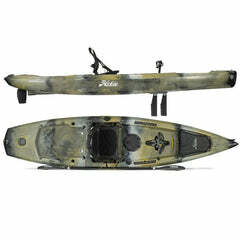 The Hobie Mirage Drive was the first pedal kayak drive and it's still unique among the competition. Other kayak pedal drives use a propeller method. Propellers aren't as efficient as the Hobie Mirage Drive and since they (propeller drives) are at a fixed depth below the boat, they are prone to damage in shallow water. Look at the animation shown to see how the mirage drive works from an under water view. The sweeping motion of the fins is based on the way a penguin swims. A propeller would be at a set depth and use a "screw" that rotates in a circular motion. 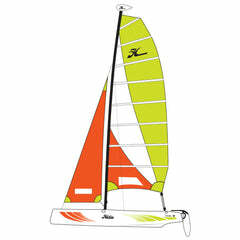 The Hobie engineers designed a truly remarkable, unique propulsion system that is un-matched by any propellar drive. 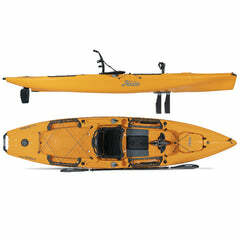 How do you launch a pedal drive kayak from shore? All pedal drives drop in to a drive well from the deck of the kayak. The drives extend below the hull to a fixed depth that dictates how deep of water you need to be in for them to work without banging the drive against the bottom or rocks. 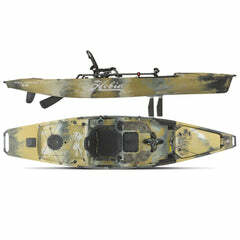 Most of the time you'll use a paddle to get out to a certain depth, drop the drive and go in "pedal mode". In the image above you can see how the mirage drive fins reach a point where they are very close to the hull of the boat. The depth of the mirage drive at this point is very shallow when compared to the fixed depth of a propeller drive. 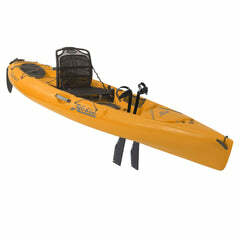 A person in a propeller drive kayak would need to stop, and go through the process of removing the drive from the drive well, paddle to deeper water, re-install the propeller drive and move on. With a Hobie Mirage Drive you simply extend both pedals to the furthest points and the fins are "parked" tight up against the bottom of the hull and paddle to deeper water. Way easier! The Mirage Drive is versatile for "in between depths" too! With the propeller drive, you need "X" amount of water depth to use it. If the water depth is too shallow the propeller drive comes out out of the water. The mirage drive has a required depth when you do a complete stroke back and forth. BUT, you can do short strokes so the fins don't extend to full depth. This is known as "flutter" kick or short stroke. It allows you to use the pedal drive in shallow water that is not quite deep enough to extend the fins top to bottom...but the short stroke keeps the pedal drive working instead of need to grab a paddle. 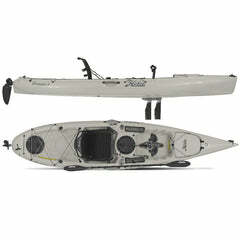 You buy a pedal drive kayak because you want to use the pedal propulsion system! 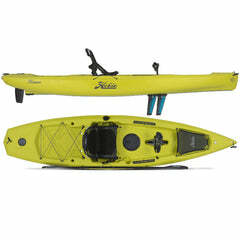 The hands free benefits of pedal kayaks make them attractive for photographers, anglers and anyone who wants to be on the water without having to hassle with a paddle all the time. Your legs are a more powerful muscle group than your arms, so a pedal system will help you go further, stay on the water longer and enjoy your recreation more. The Mirage Drive system from Hobie is the best pedal drive system ever engineered, you deserve the best, get the best, get a HOBIE MIRAGE DRIVE KAYAK! 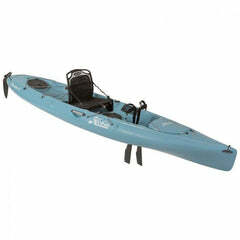 Learn about all the Hobie Mirage Drive Kayaks!